Registering for classes is easy. If you aren't already a member read these directions and then click Sign Up. Your application will be approved and then you'll be able to register for PTV classes. To register for a class click on the class title in the calendar in the next window click on Sign Up. 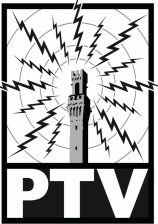 Learn more about how to get involved with PTV. This course is required before taking any other PTV workshop. No prior video experience required. Learn how to use your iPhone to take HD video and edit using the easy to learn iMovie app. We will also talk about microphones, basic framing and storytelling. ​No prior video experience required. Studio directing is exciting and allows producers o complete their program in a few hours. The workshop is two sessions in our newly updated Commercial Street Studio. In the second session you will produce a program for PTV. Learn how to plan your documentary from equipment to shot list and schedule.